Welcome to the world of Ford extreme performance! 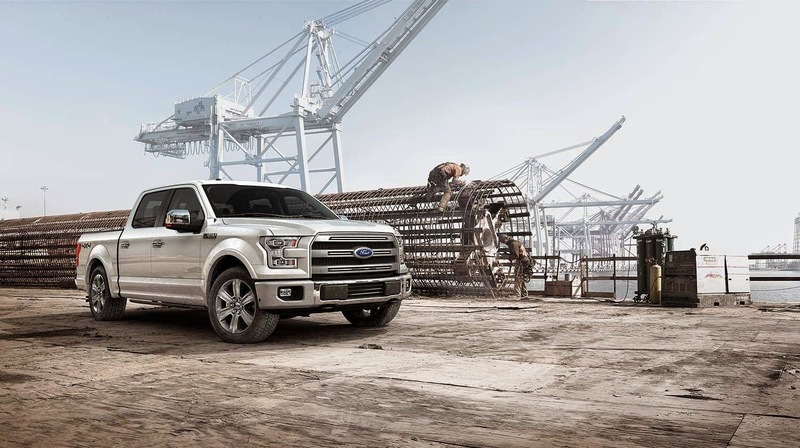 Presenting the all-new 2015 Ford F-150: man’s giant leap forward in truck innovation. Gas costs continue to climb and getting the job done isn't any easier without the right tools. There’s no room for excuses. Life demands trucks to be stronger, more resilient and just plain better than ever before. Our answer to this call comes in the form of military grade, aluminum alloy for the body and high strength steel for the spine of this workhorse. Man is driven to excel in technology and performance. We turned conventional thinking on its head and pioneered what future of tough should be for you. Like you, we strive to get it done right; no shortcuts. As a result the all-new F 150 delivers greater towing and hauling capacity than ever before. This comes from real world experience; which is why we own work. You know efficiency without compromise comes at a price, but it’s a price worth paying. It starts with what your truck has to do to get the job done right, the first time, period. Then, if that wasn't enough, we pushed our design further to maximize efficiency without compromising performance or capability. Which is why hard working people like you choose Ford over and over again. Want the specs? Try 325 hp, 375 pounds per foot of torque, Max payload 2250 pounds in 8500 pound max towing. The 3.5 L Eco-Boost™ is back including the next generation 2.7 L Eco-Boost™ dynamo to provide great low-end torque, capability, and efficiency, to take Eco-Boost™ technology to a whole new level. You didn't just help us build it. You made it possible. Visit us here at the Olympia Automall to check out the all-new 2015 Ford F-150. Take it for a test drive. Our professional staff will help you experience your Ford F- 150 firsthand. Be sure to stay tuned for other articles about our other 2015 models coming soon! If you've checked out car dealershipsin the Puyallup, WA area we have what you’re looking for.